CN Stuart St. Yard on Hamilton's Waterfront in 2007. Photo by Rick Cordeiro. 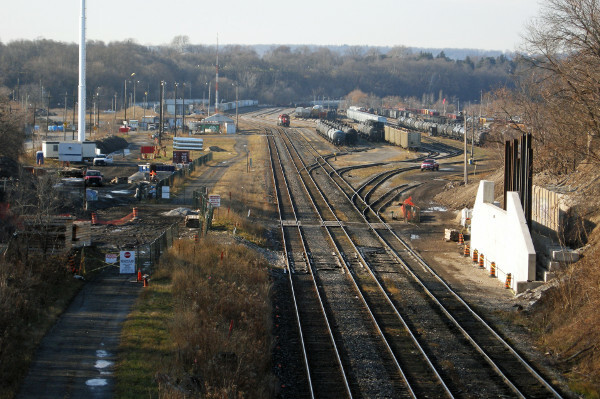 As cities across Canada engage in urban redevelopment and moving disruptive railways, a dormant piece of powerful legislation is returning to the spotlight – legislation which gives Hamilton City Council the power to finally move the Stuart Street marshalling yard along Hamilton’s West Harbour waterfront. The federal Railway Relocation and Crossing Act (CanLii version) enables municipalities to apply to the Canadian Transportation Agency for an order to move railways and yards – provided the municipality pays and relocation does not harm the viability and finances of the railway. Relocating the Stuart Street CN marshalling yard was identified as a priority economic development project by the first Council of the new City of Hamilton in 2002. Each successive Council have renewed this priority. Most recently as a key priority in the West Harbour Barton-Tiffany Urban Design Study. Yet, after over a decade, what little talks have occurred have made no change to the situation. 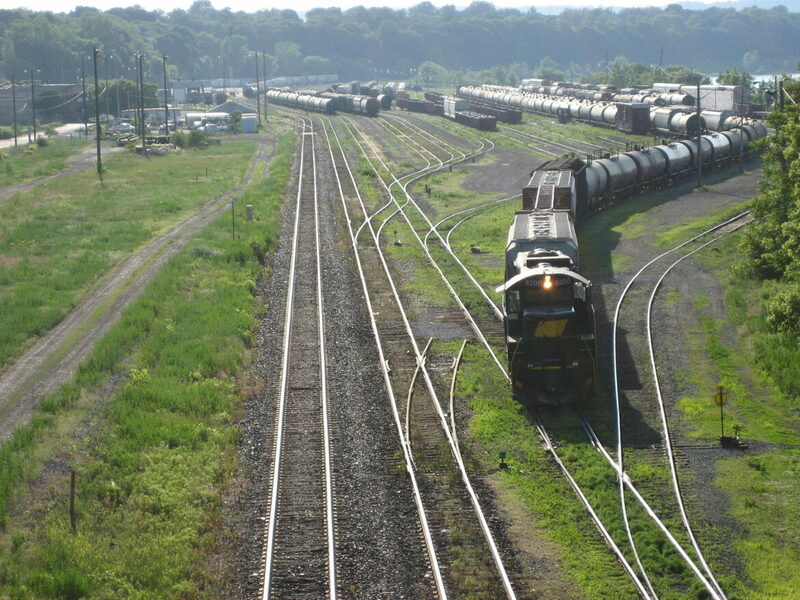 With US Steel lands for sale as a location to relocate the marshalling yard, City Council is provided an opportunity to act this term to ends ongoing conflicts caused by West Harbour residential and recreation uses abutting the CN yard. Using the RRCA is not a sledgehammer to a fly situation. It does not preclude reaching a mutual agreement – it sets a clear timeline for the outcome the City is expecting. The RRCA guarantees Hamilton City Council can fulfill its vision for the West Harbour. 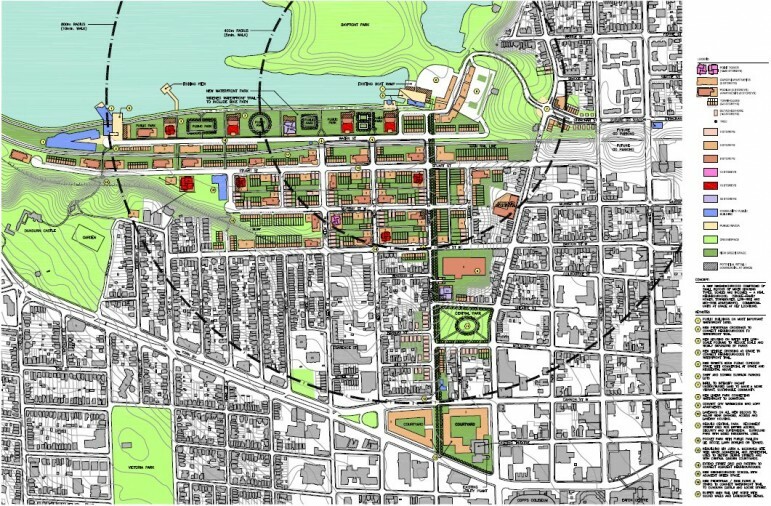 Concept Plan Produced by Citizen Group in 2012 for use of CN railyard lands. The RRCA’s requirements for the City are not onerous and most of the time-consuming work to meet them is already complete. 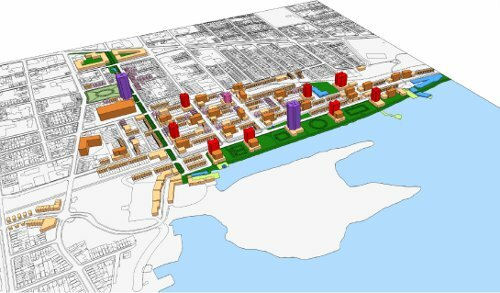 Modifications to the West Harbour Secondary Plan and the Barton-Tiffany Urban Design Study can produce the urban development and transportation plans required. 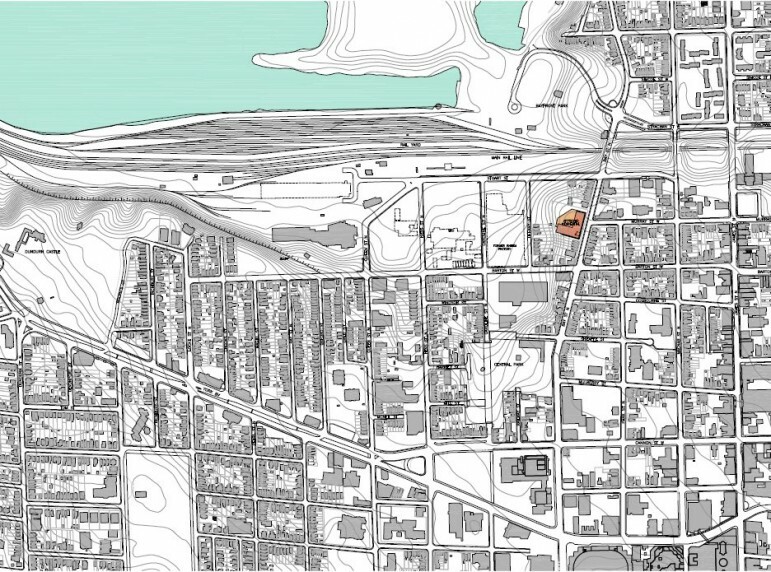 In 2012, a group of citizens gathered – independent of the City – to create their own plans for redevelopment of the CN rail yard which showed a wide variety of people-friendly uses including residential, entertainment, and parks. A consultant can write a financial plan for relocating CN to the Stelco lands. With all the documents in place, Council can submit a full application to the Canadian Transportation Agency in 2015. The RRCA enables the federal government to fund cost of rail relocation up to 50%. The US Steel lands are an ideal location to relocate the rail marshalling yards – it is land located along the CN rail line that does not have any conflicting abutting land uses. This new location will enable CN to continue their operations without being negatively impacted. In fact, with better connections to major highways and the ability to build a more modern facility, the new yard could better serve CN’s needs and become a leading inter-modal hub that will improve CN’s bottom line. The RRCA was used by the City of Regina in 1987 to relocate CN and CP rail yards, and is presently being used by White Rock in British Columbia to force the relocation of a coastal rail line that is dangerous and frustrating public access to their waterfront. The City hired Mary-Jane Bennett of the Frontier Centre for Public Policy as a consultant to prepare their application. Bennett’s 23-page report to the Council outlines the requirements of the Act, costs of relocation in White Rock, and the timelines expected of the process. White Rock is being closely watched and, if successful, could spur other communities to use the RRCA to force relocation of urban rail lines – especially as the transportation of hazardous goods is a more prevalent concern after the Lac-Mégantic rail disaster that killed 47 people. It costs the City of Winnipeg hundreds of millions of dollars in infrastructure to build bridges and underpasses to ensure traffic flows in the City. With the recent boom in railway traffic, Winnipeg is looking at a $175-million underpass as its top infrastructure priority. With grade separation taking priority over other infrastructure needs, Winnipeggers are having a serious discussion of spending $1-billion (yes, billion) to use the RRCA to move cross-Canada rail traffic out of the urban area. The idea is getting traction because it will save Winnipeg hundreds of millions in planned grade separate road work and create urban renewal opportunities across the City as rail lands are converted to other uses. The Social Planning Council of Winnipeg wrote an extensive report on moving the railways in 2014, but didn’t get as much traction as the current discussion. The current relocation discussion appears to have originated with Winnipeg businessman Art DeFehr who penned an open statement entitled Rail Location in Winnipeg – Think Bold and Big outlining the opportunities which rail relocation provides for Winnipeg. DeFehr’s proposal received a positive editorial from the WFP editorial board. The cost of relocating the Stuart Street CN yard is not insignificant, the timelines is likely to be nearly a decade between the RRCA hearing and relocation, and funding will require focused leadership at the local level. Some of the costs will be recouped from eventual development of the West Harbour CN lands, and improved land values in the new Tiffany-Barton development area. Hamilton City Council will need to secure a tripartite funding agreement with the provincial and federal government, will have to prioritize municipal funding within the City budget for many years, and have the patience to create a structure to lead the project over multiple Council terms. Is there the willpower on Council to act on relocating the Stuart Street CN yard? Or will there only be more declarations that this is a priority this this term of Council? What do the costs work out to? Tim, I don’t have an answer for the question. This is something a consultant will have to determine. While I don’t have a crystal ball, I expect CN will be encouraged to negotiate if Council passes a RRCA motion. This law has been around for decades, but not used for over 30 years. The cost of moving the yards is what the major issue is, and not the will or the law. Suppose that the costs of the move out of West Harbour and the rebuild on the Stelco lands would be around +/- $400 million dollars. And the cost of remediation of the lands to build residential, roads and parks is +/- $50 million, and the cost of servicing the lands (sewers, elect, gas, water, storm etc) would run to +/- $150 million. This comes to around $600 Million. Even if the Prov/Feds kick in 50% of cost which is $300 million, since the move has to be revenue-neutral for the railway company, the balance of the burden of such a move falls on the city. Resulting in the raising of taxes on the residential base of Hamilton. The assessment revenues from all the development has to be around $300 million for the city to justify such investments re: recouping the investment. That would take 85,000 units (eighty-five thousand units: comprising of condos/homes/towns/semis/offices/retail etc) at $3500 per unit to recoup the investments made by the city. (Assuming that the Prov/Feds are not seeking any returns on their 50% portion of the investment). As an example of visualizing the density and built out for 5000 units (i.e 25 towers with 200 units per tower, or a mix of units there off), at $3500/year, per unit of tax revenue for city will bring $17.5 Million per year. It would take –25– years to recoup $437,500,000 (being about the value of the $300 million + interest/charges of the original 50% of the cost of the move). Such is the math on such a move. Assuming the Prov/Feds tomorrow say “OK, so here’s the $300 mil…let’s see your half.” Do Hamilton residents have the stomach for such an investment? Especially in light of the current taxes already making many properties across the city unaffordable for so many seniors on fixed income and younger gens with no job prospects/security…and the investments already committed for the airport lands, Pier 8, the infrastructure deficit and the B-Line LRT and BLAST network? What are the odds of ANYONE taking the reins here? Slim and none, and Slim just left town.